God’s covenant in both the Hebrew scriptures and Christian testament demands justice. Without justice, praise and sacrifice are empty acts that do not make God’s people righteous. Habakkuk describes the breakdown of Judah’s legal system, allowing for ruthless accumulation of wealth. He prophesies to the people that the righteous live by their faith, and God’s rule is reliable. Today’s Gospel has the memorable story of Zacchaeus. The chief tax collector in Jericho, he seeks out Jesus; his actions confirm that he too is heir to the promise of salvation. Reflecting on all of today’s readings, what do they suggest to us about sin, repentance, and forgiveness? In the final verse of the Gospel, Jesus proclaims that he “came to seek out and to save the lost.” Who are the lost in our world today? How are we as individuals and as the Church called to take part in this ministry? As “sons of Abraham” (v. 9) all can be restored to the community and are entitled to inherit all God’s blessings. Our Baptismal Covenant demands that the Christian be guided by the biblical call for justice. Form IV of the Prayers of the People include “Guide the people of this land, and of all the nations, in the ways of justice and peace; that we may honor one another and serve the common good.” (BCP 388). The “Historical Documents of the Church” include how the church has defined salvation through the Councils of the Church (BCP 863-878), recalling God’s cry for justice for all. In what ways do you identify with Zacchaeus? How is he an example for us today? What do today’s readings suggest to us about sin, repentance, and forgiveness? In the final verse of the Gospel (v. 10), Jesus proclaims that he “came to seek out and to save the lost.” Who are the lost in our world today? How are we as individuals and as the Church called to take part in this ministry? 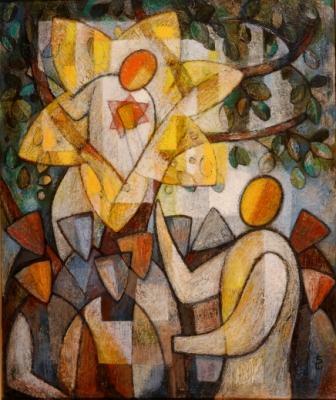 This entry was posted in Book of Common Prayer, Ordinary Time, Pentecost and tagged Baptismal Covenant, Book of Common Prayer, Fred Craddock, Gospel of Luke, Habakkuk, Lectionary, Religion and Spirituality, Zacchaeus. Bookmark the permalink.